You open up that box of Christmas decorations and realize that all of your candles have melted in the attic. Worse yet, you open a box of important papers and family photographs and are saddened to see that they have become brittle with age and marked with mold. You thought your belongings were safe in your attic, basement and garage. Unfortunately, too many people never discover the danger of storing precious keepsakes and papers in these areas of their home until it is too late. Whether you are looking for short term storage solutions or longer term moving services, Zippy Shell knows how important it is to keep your possessions safe from pests, mold, mildew and temperature fluctuations. 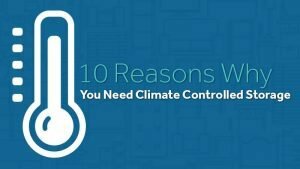 That is why we offer climate controlled storage and moving options. 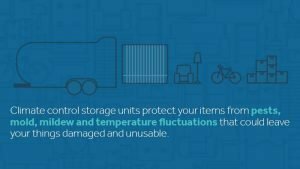 What this means is that your items will be stored in a unit housed in a warehouse that is kept at a constant temperature between 55 and 85 degrees and the proper humidity level. The facility is heated during the winter and cooled in the summer. Your items will not be exposed to weather changes or improper humidly levels that could cause moisture to build up or your possessions to dry out. This is especially important when storing wooden furniture, paperwork, books, photographs, linens and clothing. By keeping humidity levels more stable, you can rest assured that your most delicate possessions (like linens, vintage clothing, important papers and photographs) will not become damaged. Mold becomes a problem when moisture becomes trapped in boxes and containers, and once it starts to grow it can ruin your items. A storage services environment that offers humidly control will keep instances of damage to a minimum. From fleas and moths to cockroaches and mice, your belongings can succumb to pest damage if stored in a non-controlled environment. At Zippy Shell, our storage and moving services facilities have heat, air conditioning, humidifiers and dehumidifiers to keep a constant temperature and humidity level that can decrease dust accumulation and protect your possessions. We also wrap our containers in plastic to keep other people’s dust off of your stuff. But don’t worry, the plastic does not seal air movement so there’s no risk for mold and mildew and your belongings don’t get that musty smell. When papers are stored in a very dry environment they can become brittle, tearing, ripping or otherwise becoming damaged. Photographs are especially vulnerable to hot and humid temperatures as well as colder, damper environments. By storing those precious memories in a climate controlled storage services facility, you can keep them from fading, ripping or becoming warped. Wooden furniture can become loose in dry environments. This can warp or even destroy the integrity of the piece. Temperature control works to preserve older collection pieces. Stamps are very sensitive to moisture as well as humidly. Comic books can be easily destroyed in the wrong environment. No matter what your collection contains, be sure to protect that investment by storing those items in a climate controlled environment. Have you ever taken linens out of a container stored in an attic or basement and smelled that infamous “storage smell?” Keep your fabric items from becoming unusable due to the way they are being stored. Keep them in a temperature controlled environment for safe keeping. Electronic devices do not like the cold, heat or moisture. Storing electronic devices in a temperature controlled environment will keep them in good working order for years. No matter how secure your basement or attic, the odds of succumbing to flood or other weather related damage is a possibility. Safeguard your treasures in a climate controlled facility that is designed to keep these types of mishaps at bay. It doesn’t matter whether you are storing precious family memories and keepsakes, or simply looking for a place to keep your extra video equipment and furniture. The fact of the matter is your possessions deserve to be kept in a storage and moving services facility, such as Zippy Shell, that is designed to keep them in tip-top shape and avoid many of the dangers of keeping them in a place that does not offer proper climate control. We currently have a fall storage special going on where storage customers will receive $40 off the monthly base rental for 15 and 8 foot containers. To learn more, call Zippy Shell at 614-915-0800.